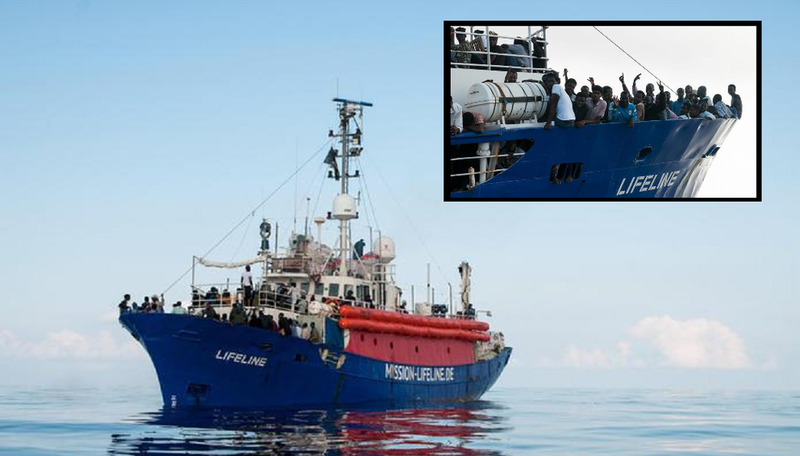 The German NGO vessel Lifeline, carrying some 230 migrants picked up near Libyan waters, has now also been refused port by Spain after Italy and Malta made a similar move last week. In what is now a full-blown European crisis, the plan of Italy’s Interior Minister Mr. Matteo Salvini seems to have worked. He started two weeks ago refusing NGO ships that set sail towards the African coasts to pick up migrants that had tried crossing the Mediterranean to reach European shores. The first case involved that of the rescue ship Aquarius carrying 630 migrants. Italy and Malta both refused it, after which the new Spanish government of Prime Minister Sanchez accepted to help and offered the port in the Spanish city of Valencia. However, upon arrival, the vessel was met by protesters whilst the Spanish press ran polls that suggested most citizens disagreed with Mr. Sanchez’s decision to accept more migrants. When last week Italy refused entry to the German NGO vessel ‘Lifeline’ and Malta did the same, many were wondering how Spain would react this time around. The answer came late Monday evening when Spanish Economic Development Minister Jose Luis Abalos said his country would not "become the sea rescue organization for all of Europe," and explaining that they could not "take on this responsibility alone." A German politician of the left-wing Green party, Ms. Luise Amtsberg, who had gone on board the rescue ship Lifeline, said the situation was starting to become dire after the vessel had now been turned away by three countries. Ms. Amtsberg: "The dispute over European jurisdiction should not be allowed to put people at risk of their lives." mofos need to go home, instead of leaching off Europe like their mexican brothers. why not sail the ships around Europe and unload them in Hamburg? Why not head out to sea and scuttle the ship? That would solve this issue and possibly future invasions. They will probably try to do an end around and come to the States where democrats need more voters as there stupidity is on display.